Every day in the U.S. accidents and violent crimes happen that result in a serious injury or death and if you happen to encounter or experience such a scene, knowing how to react is crucial for your safety. The scene of a violent crime or serious accident tends to include biohazard materials that are very dangerous to handle and if the scene is a crime scene, it must be cleaned up by a professional that specializes in handling crime scene cleanup. 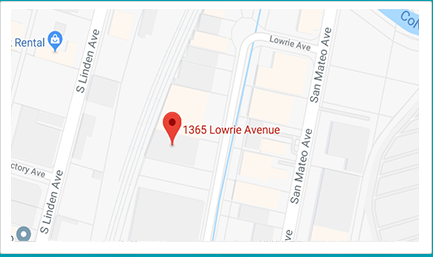 ServiceMaster Disaster Restoration and Recovery provides trauma, vandalism, and crime scene cleaning services to remove biohazard materials and restore the scene of a violent crime, death, or injury in San Francisco, CA and the surrounding towns in the Bay Area. 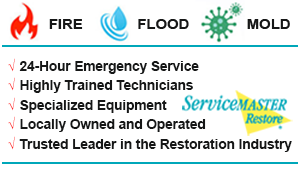 At ServiceMaster DRR, our technicians have received the right training and specialized certification to safely cleanup biohazard materials from trauma and crime scenes and provide cleanup for cases of vandalism. Biohazard materials such as blood and other bodily fluids contain viruses and bacteria and cleaning them up improperly greatly increases the risk of spreading infection or disease. We use personal protective equipment (PPE) and powerful cleaners to safely remove biohazard materials and thoroughly clean and restore the affected area. Our technicians also cooperate with law enforcement officials for crime scenes to avoid contaminating the scene or compromising the investigation. Decontamination: We completely remove all biohazard materials from the scene as well as decontaminate and disinfect the entire area. Deodorization: We remove unpleasant odors with our powerful deodorizers. Proper Disposal: All biohazard materials are transported to a licensed facility in the proper containers where they can be disposed of safely. Continuous Monitoring: We complete the job in an efficient and timely manner with good communication and quality control. Family Assistance and Support: We understand that friends and family members who are grieving may need additional support and we can refer our grieving clients to professional counselors. Certified Technicians: We have the proper certification to provide biohazard and crime scene cleaning in compliance with local and state government rules and regulations. If a trauma scene or violent crime has unfolded on your property, contact ServiceMaster DRR right away for trauma and crime scene cleaning services in San Francisco, CA and the counties of San Mateo, Santa Clara, San Benito, and Monterey. You can call us 24 hours a day at (800) 439-8833 and our technicians will show up in an unmarked vehicle to keep your privacy protected.